We’ve just added a Barkan Method Level II/III Advanced Yoga Teacher Training to our 2017 schedule! Jimmy Barkan has been certifying Yoga Teachers since 1986. Jimmy’s interactive approach of teaching goes beyond motivational; with compassion and understanding, Jimmy connects with each of his students on a personal level and offers a unique platform to explore their inherent skills and strengths as a teacher. Jimmy Barkan’s Level II and III Training is considered the top-rated training in the United States and beyond. 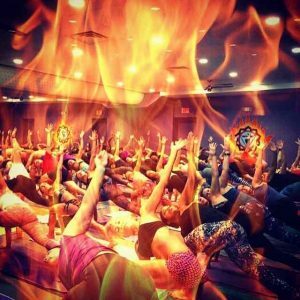 There are thousands of students and studio owners worldwide that got their start with The Barkan Method of Hot Yoga. Jimmy’s extensive experience in teaching, guiding, body alignment and yoga history is what separates & distinguishes The Barkan Method Teacher Trainings from many others.